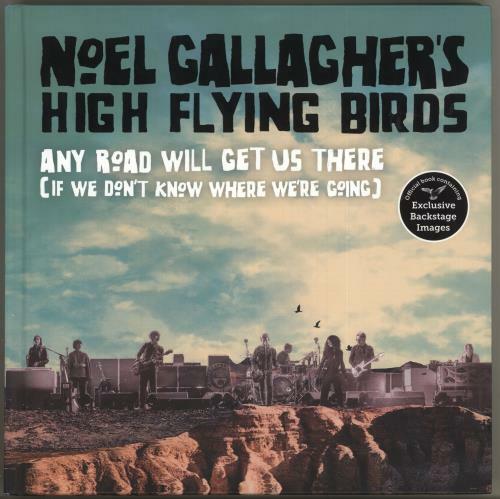 NOEL GALLAGHER 'S HIGH FLYING BIRDS Any Road Will Get Us There (If We Don't Know Where We're Going) (2018 UK official 222-page 9�" x 9�" hardback book, designed by David Pitt and written with Hamish MacBain. This behind-the-scenes book documents Noel's biggest ever solo tour and the making of the critically-aclaimed album 'Who Built The Moon?. Featuring exclusive backstage images plus candid interviews with Noel and the band).